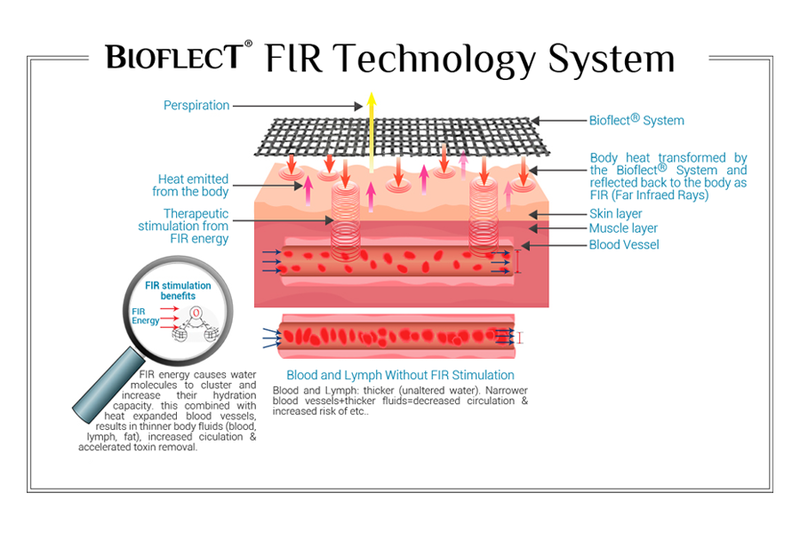 Bioflect garments harness the power of infrared therapy, a scientifically proven method of healing and regenerating the body. Doctors and physical therapists have long prescribed far infrared heat lamps as part of their protocol for healing various athletic injuries, as well as in the treatment of skin inflammations and the pain of auto-immune diseases such as arthritis and neuralgia. Reduced inflammation and arthritis pain in muscles and joints.